 Global Over the top services Market valued approximately USD 912.4 billion in 2016 is anticipated to grow with a healthy growth rate of more than 16.6% over the forecast period 2017-2025. Key factors which gives growth to the Over the top services market are the demand for OTT services is poised to rise exponentially in the coming years. Likewise, affordable rates of high speed mobile internet has bolstered the adoption of OTT market at large, Smartphone penetration and affordable high speed mobile internet packages are also the major drivers for the OTT service market. Some of the key manufacturers involved in the market amazon Inc., twitter Inc., Netflix Inc., dropbox Inc., google Inc., linkedin corporation, skype, apple Inc., Hulu LLC., rakuten Inc. evernote corporation. Acquisitions and effective mergers are some of the strategies adopted by the key manufacturers. New product launches and continuous technological innovations are the key strategies adopted by the major players.